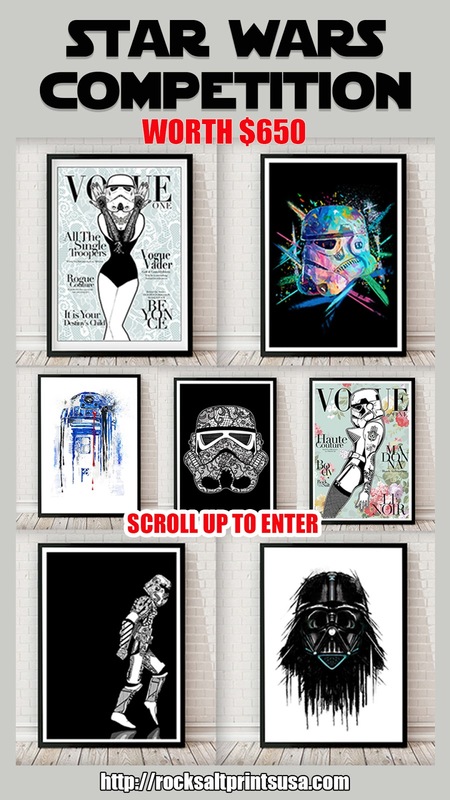 To celebrate their launch in the USA Rocksalt Prints has set up this amazing competition. You can WIN three framed 24”x36” Star Wars artworks from our online collection, worth $650. Competition ends on the 17th April, 2018. Please ENTER NOW - you can collect points and unlock REWARDS don’t forget to check on your point status by logging back - please SHARE, LIKE AND TAG - Let's get this out to everyone!!! Disclosure: This is a sponsored post. Chatty Patty's Place is not responsible for prize distribution. This competition is being held externally by Rocksaltprints.com.